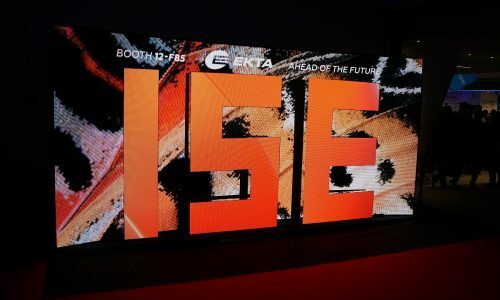 Crestron is showcasing its FT2 Series FlipTops at Integrated Systems Europe (ISE 2019) in Amsterdam this week. 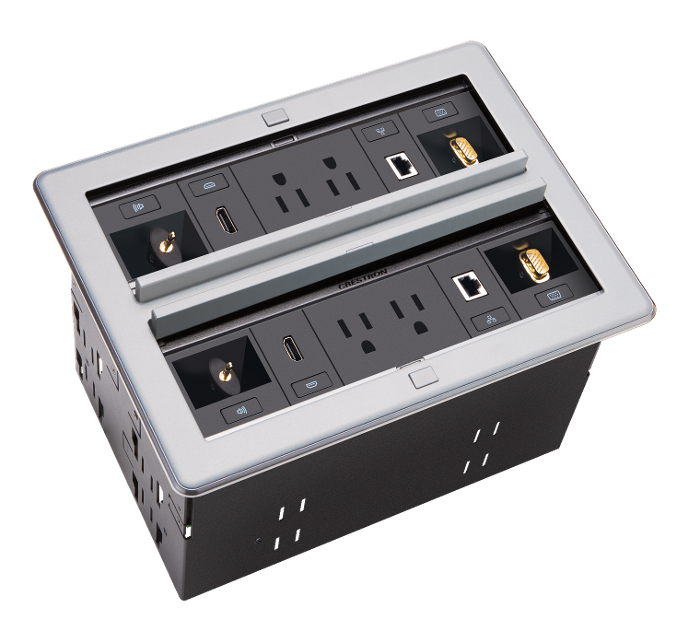 The new FT2 FlipTops “fit into almost any standard cut-out and can be installed in half the time than most competitive products,” according to the Crestron announcement. “Once installed, the new industrial designs sit flush on the surface and look stunning in any table or lectern. “Not only do they fit in the existing cutouts that you have in tables but they’re also beautiful devices with advanced functionality,” says Nic Milani, executive director, commercial product marketing, Crestron, who demonstrates the FT2 Series FlipTops in a Commercial Integrator video. Watch the video to see how with the push of a button the cables can retract at the end of a meeting. “When presenting in a meeting, a single touch of the button on the FT2 FlipTop activates its door, which silently retracts and disappears. All connectors and cables are conveniently revealed at table-level to power, rapidly charge, and connect devices,” according to the company press release. A comprehensive line of accessories is available, ranging from retractors to international power modules. Crestron will be demonstrating the FT2 Series FlipTops in Hall-2, Stand C20 at the RAI Amsterdam during ISE 2019. Crestron’s original FlipTops came out about five years ago as a way to better organize cable connections in the corporate space.